It has always been considered that exchanging thoughtfully selected gifts, especially between business partners, can help the relationship progress and provide authenticity, sincerity and friendship. Unique products made from fired clay places an emphasis on homeliness, warmth and tradition and are therefore always well appreciated as a gift. With regard to its design, I am manly focused on their useful and informative value. In forming the whole entity regarding the colour and design, I tend to adapt to my customers’ wishes and the mission they spread with their business. I already pleased many business partners with my unique gifts. 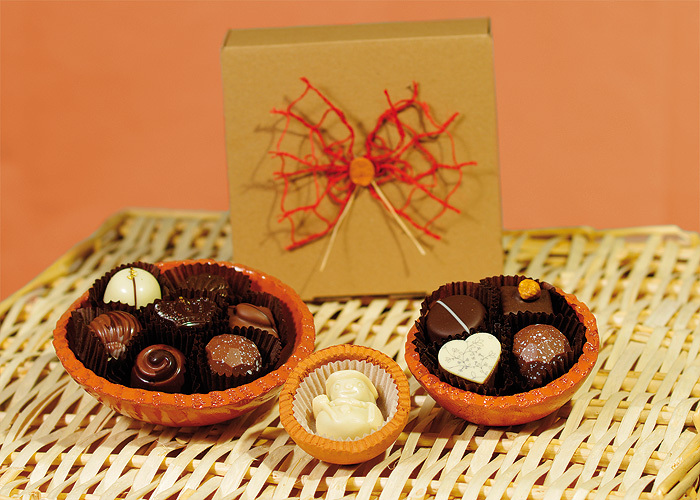 Hand-made bowls with imprinted Slovenian bobbin lace filled with hand-made chocolate pralines of various flavours and shapes. 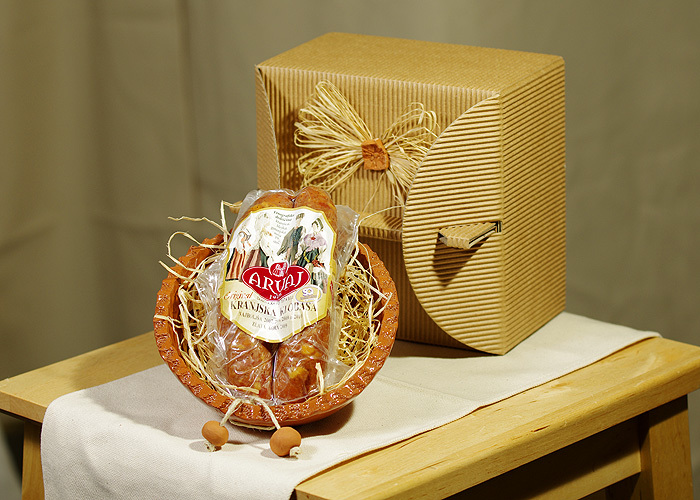 An oval bowl with an award-winning Kranj sausage of Arvaj is the best gift for a snack. 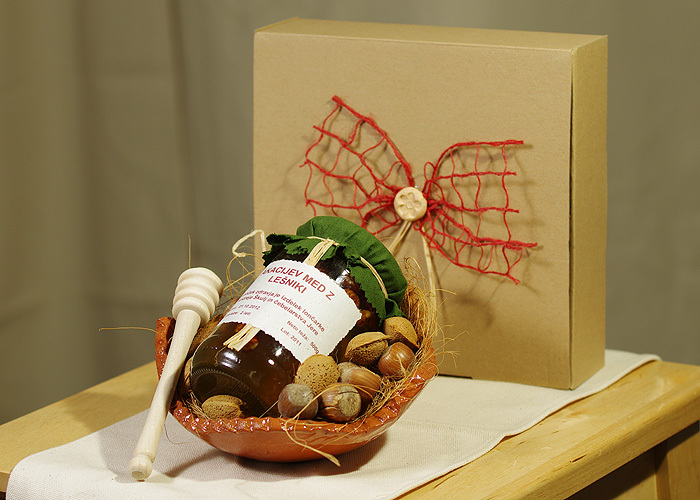 A health cup with acacia honey with hazelnuts, walnuts or almonds in a bowl of fired clay. A wooden spoon is enclosed to capture the honey. The gift comes in elegant packaging made from recycled cardboard. 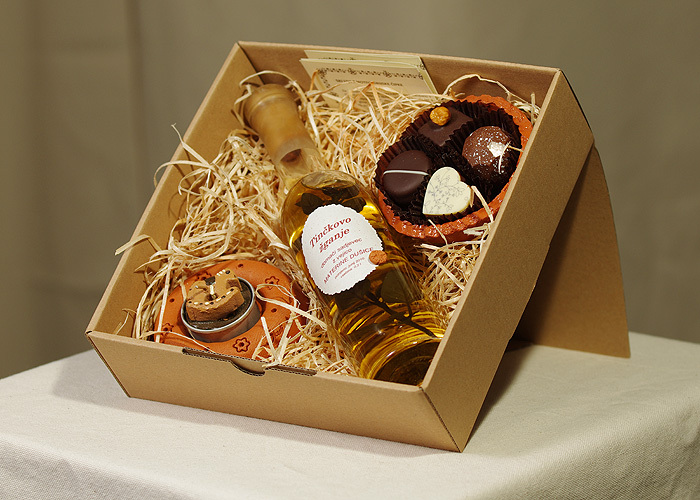 A Tincek gift set contains a bowl of fired clay with hand-made chocolate pralines of various shapes and flavours, a candle-holder with a coloured candle from beeswax and Tincek brandy with herbs. 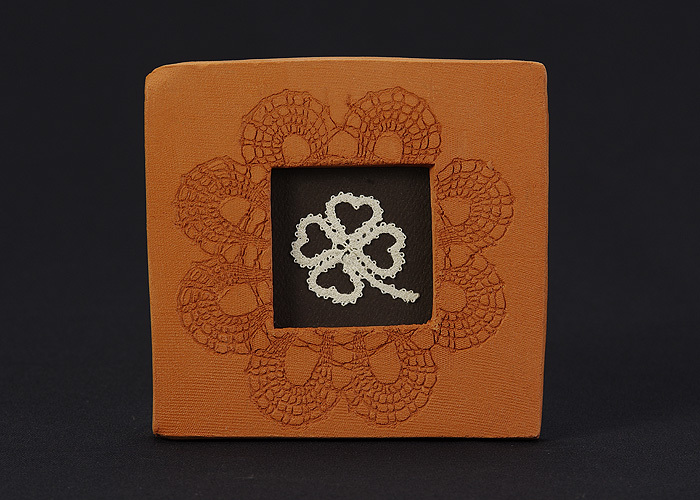 Slovenian bobbin lace in a frame made of fired clay with a four-leaf clover motif. Let it spread some luck to your business partners as well.